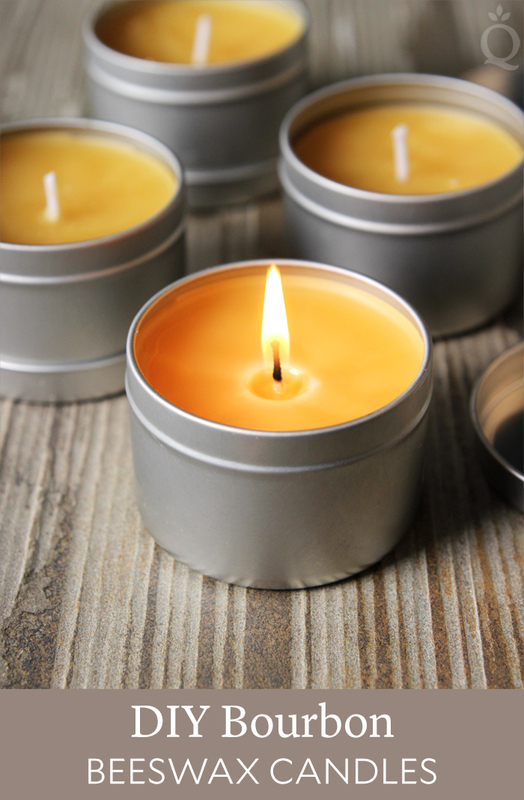 With so many fragrances available to scent candles with, it’s hard to choose just one. 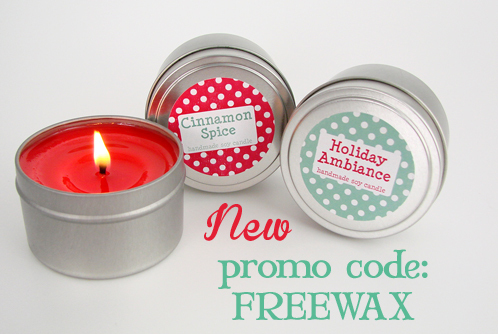 Rather than agonizing over the perfect scent, I decided to use two! 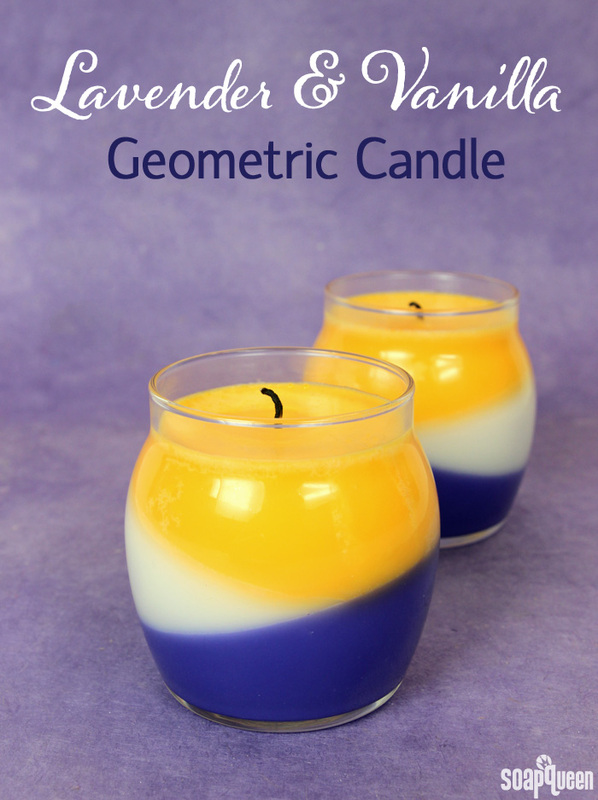 As this Lavender Vanilla Geometric Candle melts, the Vanilla Bean Candle and Soap Fragrance Oil and Lavender Candle and Soap Fragrance Oil will mix together and fill your home with a sweet and earthy scent. 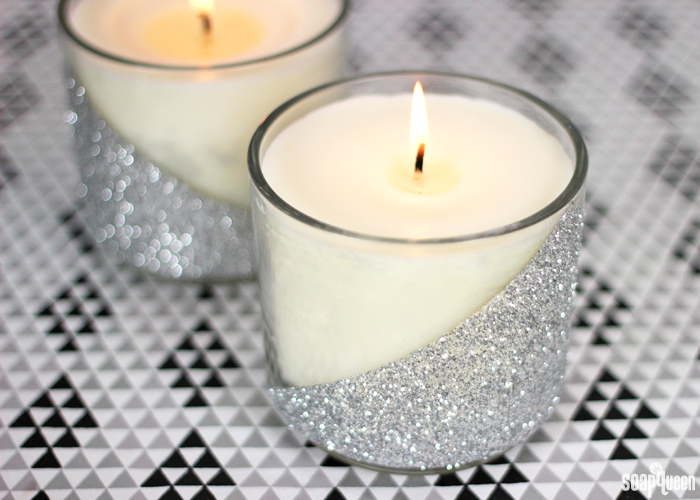 In addition to two fragrances, the candle also has a fun geometric design. The layers are made by pouring EcoSoya Advanced Soy Wax into Tapered Neck Candle Jars that are angled on a stable surface. 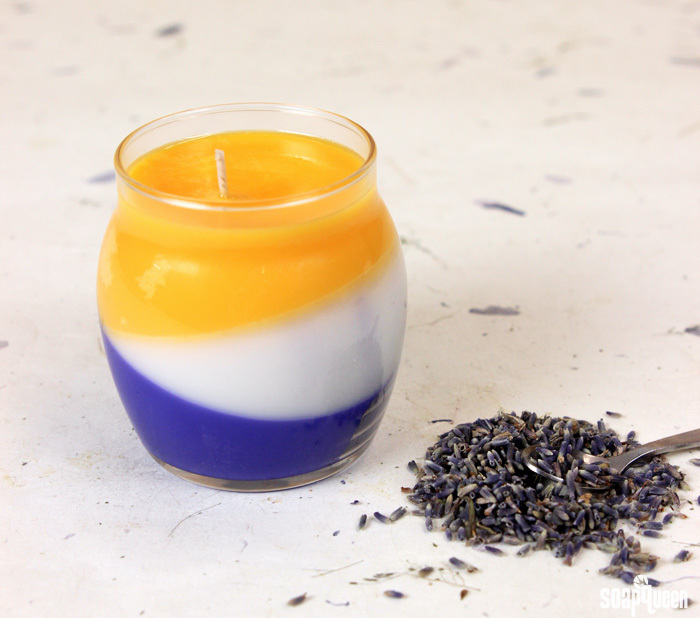 The purple, white and orange layers go perfectly with the lavender vanilla scent. The design does take a bit of time to achieve, but we think the unique look is totally worth it. 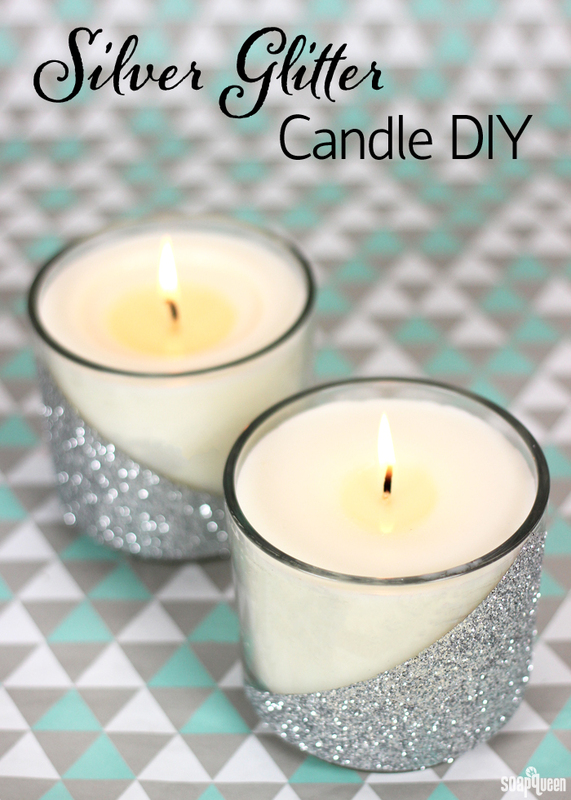 This technique is a great way to shake up your normal candle routine. 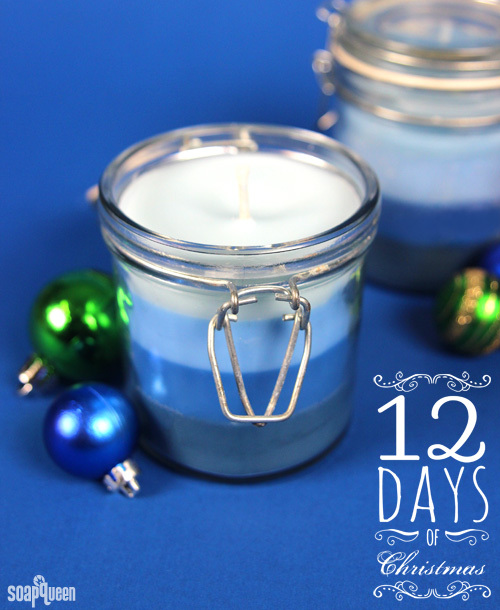 Candles are popular anytime, but especially so during the cold and dark winter months. 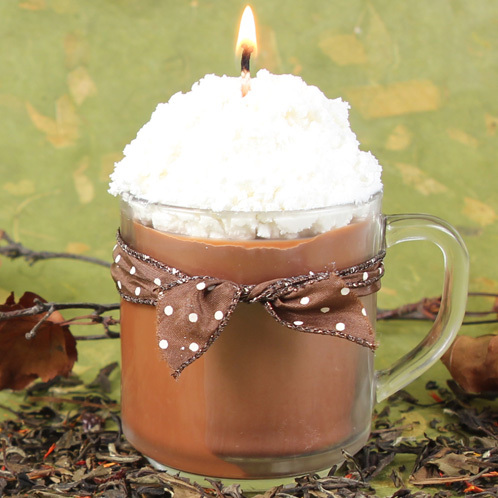 They fill the room with a warm glow, light and scent. 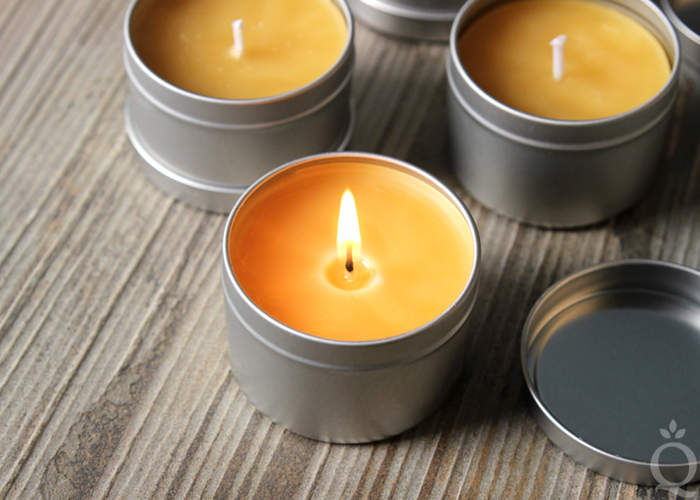 When spring comes, candles are a time-tested way to add color and scent to your space. 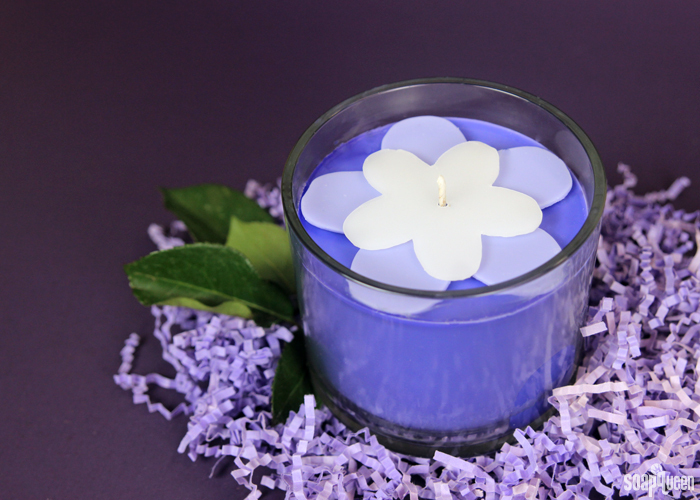 This Purple Blackberry Flower Candle is scented with the sweet and juicy Blackberry Sage Cybilla Fragrance Oil. 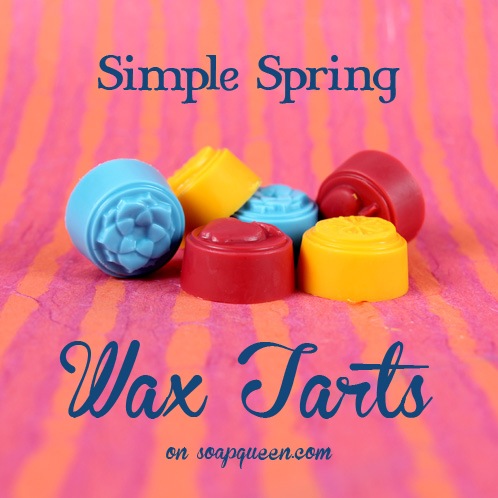 This project features flower wax cut-outs that add a spring flair. 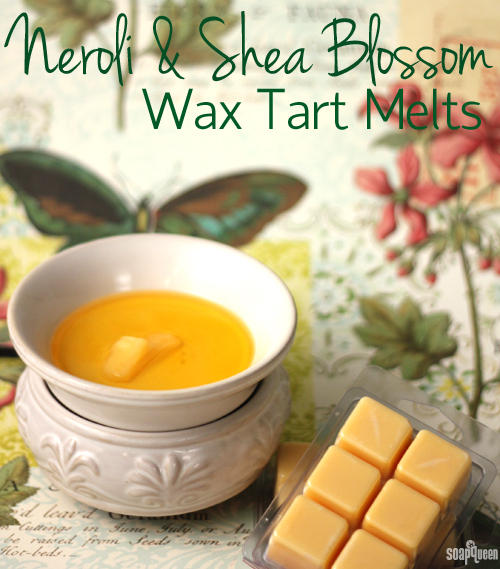 To make the flower cut-outs, pour beeswax into a Glossy Silicone Square Tray Mold. 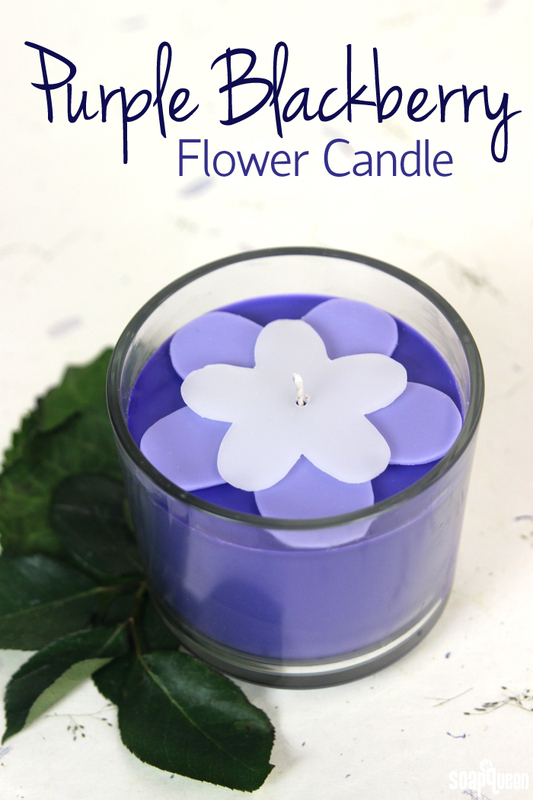 Once the wax has cooled down but is still warm, use the Flower Template as a stencil to draw flowers into the wax. 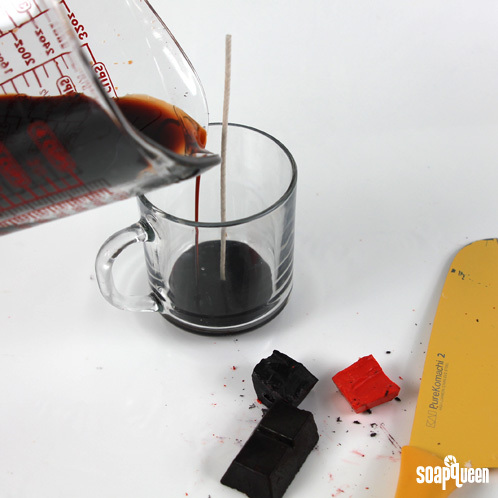 If you do not have a Glossy Tray Silicone Mold, other silicone molds such as the 6″ Silicone Slab Mold would work well too. 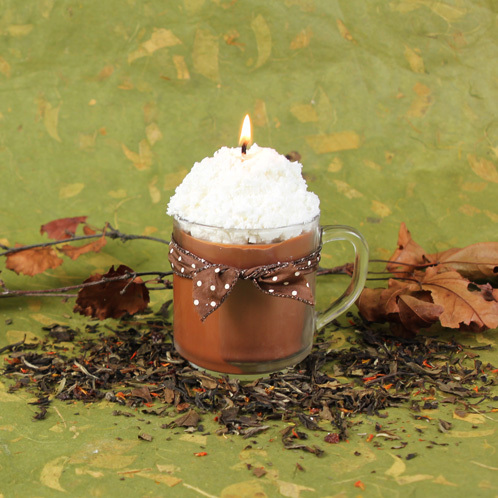 These flowers are then layered onto the candle, and held in place with hot wax. April showers didn’t fail to deliver lots of May flowers. 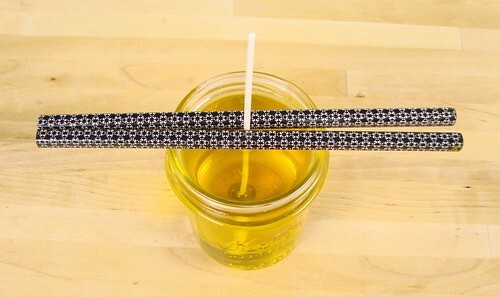 This clever Garden Candle is a fun way to bring the fresh scent of a spring garden inside. 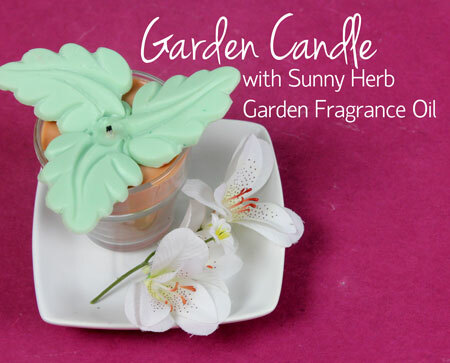 This candle features Sunny Herb Garden, which is May’s Sample of the Month. 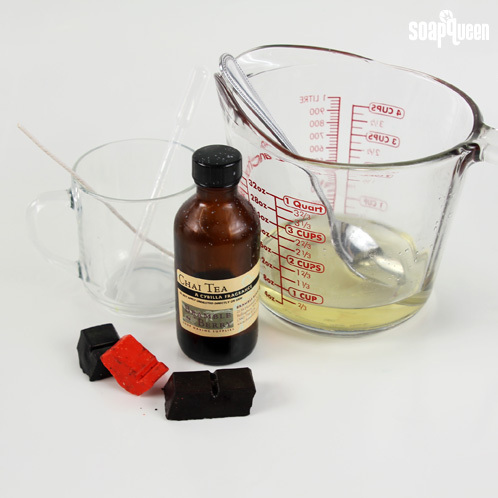 This fragrance performs wonderfully in cold process soap as it does not accelerate trace or discolor. 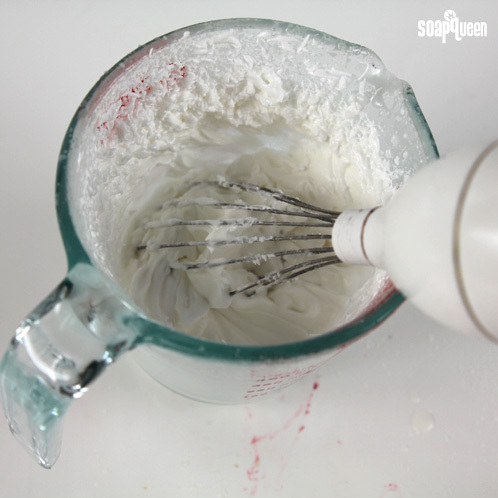 It’s a sweet, floral scent, which makes it a great choice for fresh-smelling hair products or lotions. 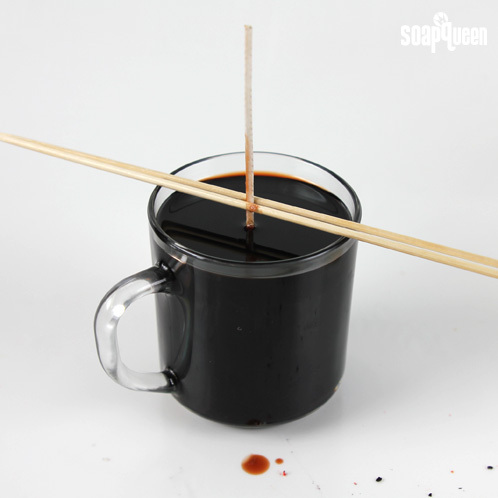 And don’t forget, you can also use this project to participate in our Make It Month! 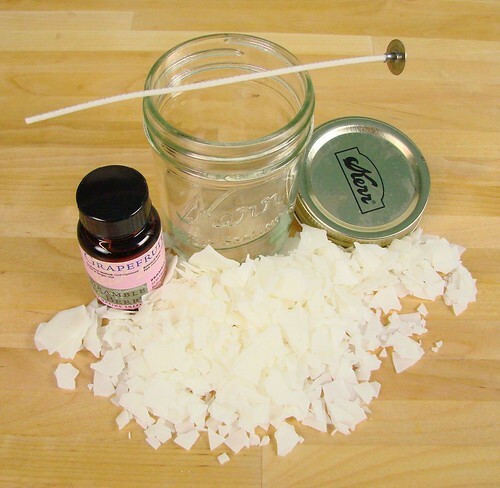 To participate, simple make a project using Sunny Herb Garden or Carnation Fragrance Oil. 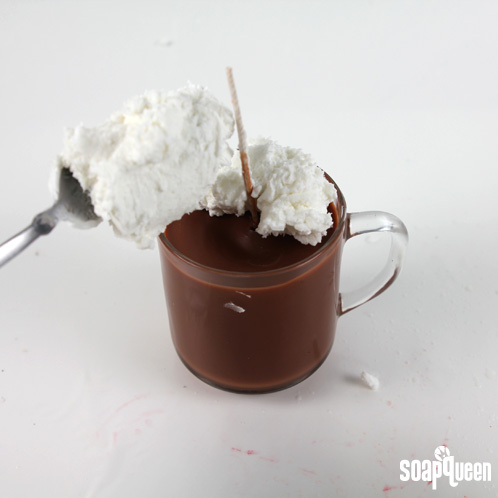 Then, post your photo on the Bramble Berry Facebook Page with the hashtag, ‘#BrambleGarden.’ We’ll post a collage of our favorite projects on the Soap Queen blog on June 9. Hurry, because the posting fun ends Friday, May 30. If you need a little inspiration, check out the photos that have already been posted here. 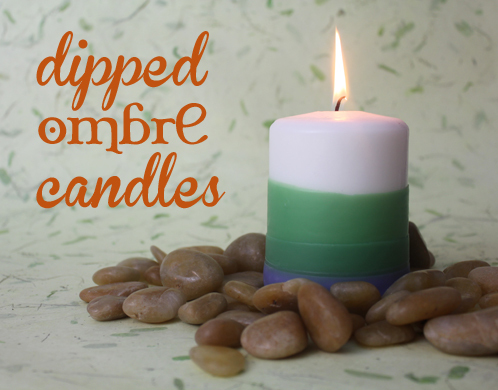 The other day I happened upon a random assortment of unscented candles that I had been saving for…something. Today was the day for that something! 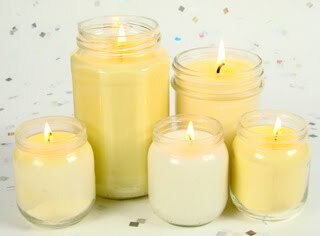 Using our wax dye blocks and fragrance from our NEW Candle and Soap fragrance line, I spruced up these otherwise basic candles and was even able to add a little bit of scent. Lisa Johnson, from Poppy Paperie, has done it again. She wows me with her creativity! Check out these Apple Pie Candles packaged to perfection. Lisa is a total rock star! 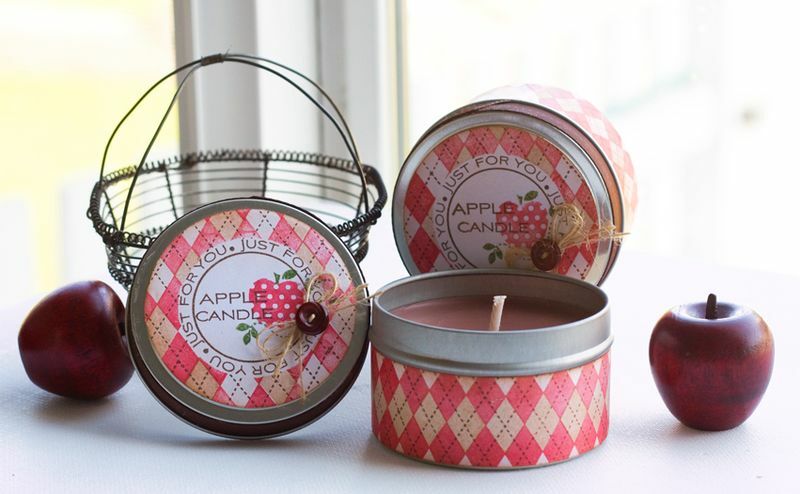 Lisa used Apple Pie Candle Fragrance, EcoSoya Advanced Wax, 6 oz. Tins and CD20 Wicks. 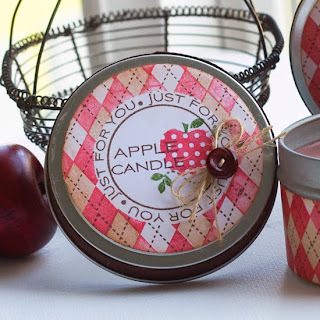 She has all the details on how she made these cute-as-pie candles on the Poppy Paperie Blog. 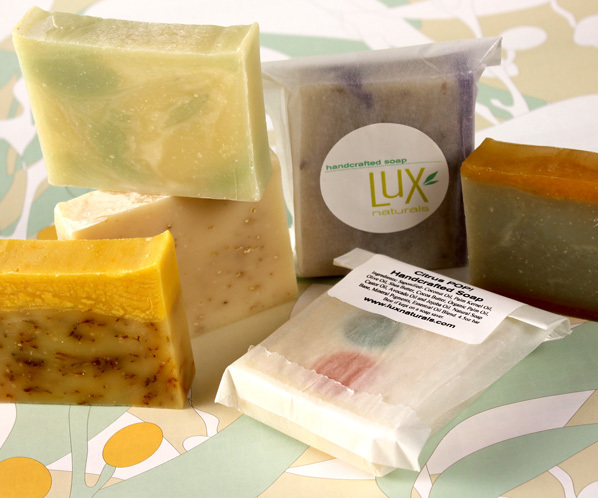 Do you want to see how Lisa packaged her handmade soaps? 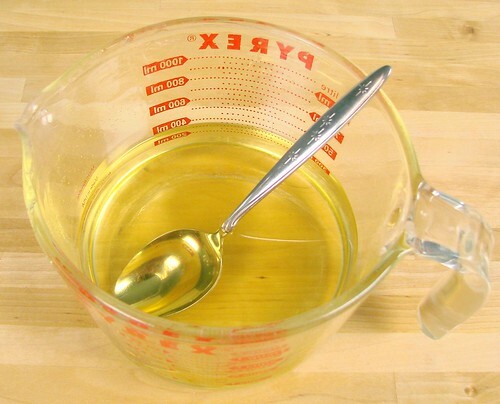 See Wednesday’s blog post HERE.Have a great weekend – I’m off to an all day organizing class at Organized at Last (in Bellingham). Though I’m a clean person, being neat and organized is a bit of a challenged so I’m excited about all the tips I’m going to learn in class.